Welcome to East Tennessee! We are located in the beautiful and scenic town of Tellico Plains, Tennessee. Tellico Plains is a rural town in Southeast Tennessee. Tellico Plains is the gateway to the Cherokee National Forest. The Cherokee National Forest is Tennessee’s only National Forest and covers almost 630,000 acres of land. In Southeast Tennessee we have many activities for outdoor enthusiasts. Our area has stunning mountains and flowing streams, plentiful wildlife for everyone’s enjoyment. We have the pleasure of camping, hiking, fishing, and hunting. We are fortunate to experience all four seasons here in East Tennessee. Image owning a piece of this treasured place we call home. 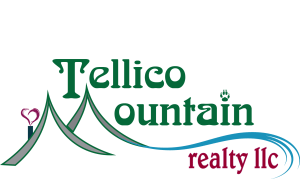 At Tellico Mountain Realty llc our agents not only live in the Tellico Plains area we are from the area. We know this beautiful area. At Tellico Mountain Realty llc, we help you beyond the buying or selling process. We are here to show this beautiful area whether you are buyer or selling. We know where the best place to get a hamburger and ice cream or some delicious treats from our local bakery. We take pride in our area. We support our local schools by spending Friday nights watching the local high school team. The view from our local high school football field is one of the most majestic scenes’ you’ll ever see. Enjoy motorcycle riding? We have one of the most scenic byways for riding – the Cherohala Skyway. Our communities within the Tellico Plains area have events such as the Ramp Festival and Autumn Gold Festival provided by the local ruritan clubs. There is so much more we would like to share about our area. Call us today to find or share your dream home. We can even help you find the perfect property to build your dream home on. At Tellico Mountain Realty llc, we have great relationships with our local tradesman. We have skilled builders in our area that can build your custom home. We can help you find a builder, excavator, or even a mechanic if your car breaks down. Count on us as your local real estate agency. We want to share you our homes and find your. At Tellico Mountain Realty llc we want to make our hometown your hometown. So if you’re ready to move to the mountains, or you are looking for a second home or investment property, call TellicoMountain Realty today.